musings of the big red hen: Blogs make a difference, oh yes they do! Blogs are important, they really REALLY are. I often feel like I navigate my life by the hazy glow of a computer screen, and you know what's on that screen? a blog. As I change, so do my favourite blogs (although there are always a constant few - kinda like best friends). I suppose blogs can certainly be a little voyeuristic, but if you use what you learn to better shape your life, then gaze away I say! I first discovered blogs through my Rooster (who is very techno savvy) while I was pregnant with Chicken Little. What I didn't know was how important they would become to me once she was born. Bread & Honey was the first blog I ever fell in love with. I was desperate, and man did I fall hard. The nature of the blog has changed over the last couple of years and we have grown apart, but in the early days it was a thing of beauty. Two young, tattooed, baking, stay-at-home mums. *swoon* After Chicken Little was born I had a rough time adjusting to mommyhood, as well as staying at home for the first time. 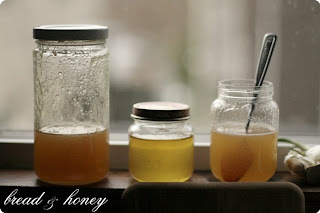 Bread & Honey was like a life-line to me, saving me one recipe at a time! I know I could have managed without it, but would I want to have tried? no. I owe a lot to those cool mommy's from Portland (my current crush is a mommy from Portland too), and someday perhaps I'll send them a link to this post and let them know they made a real difference to my life. But for now I'll just dedicate this blog to cool mommy's everywhere, who are making a difference through their blogs - whether they know it or not.